Samir B., 30, was given the sack in 2016 for threatening co-workers and pledging to join jihadists fighting in Syria. 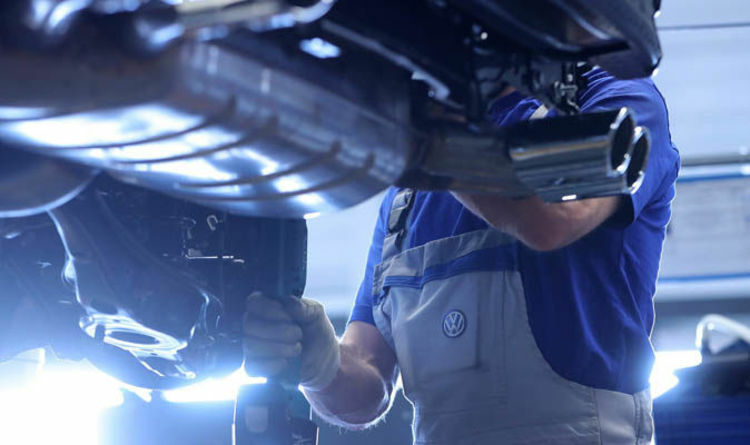 Volkswagen said it took the threats against its employees “seriously” and feared he might mount a terror attack at the corporate HQ in Wolfsburg during a meeting of thousands of workers and shareholders. Authorities said two of his associates travelled to Syria in 2014 to join Islamic State and both of them are now dead. Samir B., a German-Algerian tyre fitter who earned a little over 3000 pounds a month with VW, was stopped with nearly 9,000 pounds of euros on him - and carrying a drone - at Hanover Airport the same year trying to travel to Syria. His passport was confiscated. According to the VW lawyers and the administrative Court of Braunschweig, it was proven that Samir B. "was involved in the recruitment and support of Islamic fighters from Wolfsburg". VW said that he also threatened colleagues that they would “all die” and had no alternative but to terminate his employment. But at Hanover State Employment Court on Monday a judge ruled his sacking was illegal. VW is obliged to reinstate him in a month’s time, but media report that the company will appeal the verdict to a higher court.